Kelly Louise MacDonald, originally uploaded by johnwmacdonald. 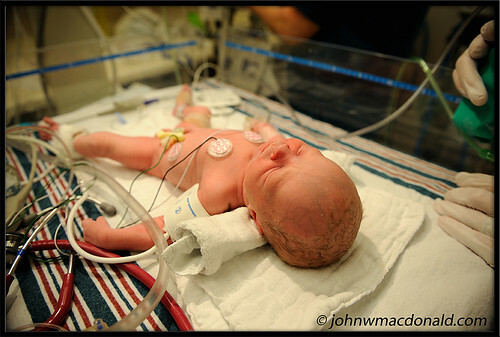 Kelly Louise MacDonald came into the world at 4:37pm 16 October 2008. Absolutely beautiful; the joy and wonder of life! I add my welcome to Kelly Louise and Megan Catherine and congratulations to all family members. These two little sweeties are going to provide you with years of too-cute-for-words photo opportunities! It'll be fun to watch them grow. A big congratulations to you and Julie, and a big welcome to Kelly Louise and Megan Catherine.